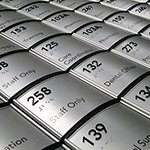 Regardless of your business type, indoor signage plays a significate role in the day-to-day operations of your business. From informing customers about hot deals to improving employee morale, your business needs indoor signage to keep operations running efficiently. Knowing what indoor signs will support your goals can be a challenge. Various factors should be taken into consideration, such as your business goals for signage, legal requirements, how your facility is utilized and navigated, even the wear you expect your signs to endure all have an impact on the type of interior signs you select for your business. 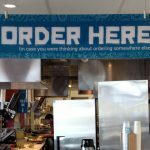 As your local Tempe sign company, Mousegraphics understands signage. We understand how to use signage to control the flow of traffic through a business effectively, how to ensure your brand gets remembered, and how to motivate your employees. By creating impactful signage tailored to your brand, location, and needs, we can support you in growing your business. Call Mousegraphics at (480) 894-1992 for your Free Consultation with an Indoor Signs Expert! The indoor signage you select for your facility will not only build brand recognition but also help cement the professionalism of your business. 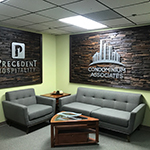 We provide many different indoor signage options that allow you to turn your office into an eye-catching and impressive space, provide directional assistance to visitors and guests, or tell the story of your business in striking, full-color wall murals. Indoor signs are a great branding tool in the office setting. 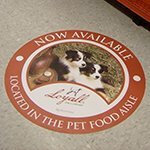 Many businesses reinforce their brand message by utilizing multiple signage elements throughout their facility. From beautiful wall murals to hanging banners, retractable banners, large format graphics, and vinyl lettering, Mousegraphics can help you create an environment that is sure to impress any who enter your facility. 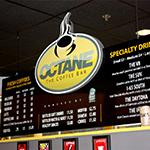 Indoor signage for restaurants and retail establishments are often targeted at promoting products instead of reinforcing their brand. That doesn’t mean your branding doesn’t have an important role to play in your promotional or wayfinding signage! Mousegraphics creates eye-catching retractable banners, hanging banners, floor graphics, wall decals, and more that will highlight your products, while utilizing your colors, fonts, and logos to increase brand awareness and recognition. We make it easy for your guests and customers to navigate your facility, finding the products and departments they need. We understand the customer expectation when it comes to signage, so we focus on creating intuitive signage that helps you meet those expectations, helping you to improve the customer experience. Even if your business isn’t open to the public, that doesn’t mean you don’t have a need for impactful and effective signage. Whether you need to keep your employees safe, improve productivity, or just want to provide a place your staff can enjoy each day, Mousegraphics has the experience, tools, and resources to help you achieve your signage goals. 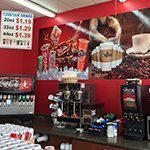 Large format graphics, wall murals, indoor banners, hanging banners, and wayfinding signage are ideal solutions that not only support your business goals but also help to reduce the risk of injury in hazardous areas. Mousegraphics is your dedicated partner for impactful manufacturing signage, providing assistance, guidance, and support, so you get the right signs for your business. When building brand recognition and the professionalism of your business, consistency throughout all of your marketing and message is critical to achieving those goals. It takes solid brand guidelines and referencing them throughout your marketing endeavors, to achieve the repetition you needed for your brand to take hold. Mousegraphics creates attractive indoor banners, window displays, trade show displays, and more that perfectly complement your brand and existing signage. If you need design assistance, Mousegraphics has you covered. 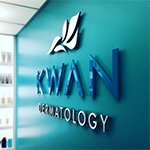 Our design staff can conceptualize the perfect indoor signs for you, utilizing your existing logos, styles, colors, and fonts, or creating new brand guidelines, including a style sheet for you to use moving forward. Mousegraphics is your reliable source for attractive, impactful custom indoor signs and graphics. 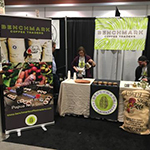 Whether you are looking for on-site promotional signage, event signage for a tradeshow or convention, or simply want to make it easier for your guests to navigate your space, we can help. From retractable banners to complete trade show booths, we understand the impact signage has on your ability to achieve your business goals. We take your business goals, brand personality, physical space, and budget into consideration when crafting the right signs for your needs. Whether you need a hanging banner for your special event or a full display for a trade show, Mousegraphics can create it. Need outdoor signs as well? We produce every graphic your business needs for a branded look both inside and out! As a full-service sign company, we handle every aspect of the indoor sign creation process. First, we meet to discuss your indoor signage expectations and goals. If you have existing brand guidelines, we can work from those, or our graphic designers can start from scratch. Once we understand your signage needs, we will create a digital “mock-up” of your project for you to review and edit as you wish. You have complete editing control, allowing you to change everything from the text to the materials of your product. Once you have completed any edits and are satisfied with your project, our on-site fabrication team will take over your project to quickly and efficiently manufacture your product. By utilizing state-of-the-art machines and proven business manufacturing processes and practices, we not only craft high-quality, durable products but also save you money in the process. Finally, depending on the size or complexity of your project, we offer a complete sign installation. After all, indoor signage isn’t useful if hangs crooked or a slight breeze knocks it over. Our professional installers will ensure that your signage works in your space, is correctly secured, and stays in place for years. Mousegraphics is eager to impress you with our unrivaled customer support, expert design skills, and superior sign creation. Our knowledgeable staff is ready to overcome any indoor signage challenges you face and deliver the solutions you need to grow your business now and in the future. Call Mousegraphics at (480) 894-1992 for your Free Consultation with an Indoor Signs Specialist!